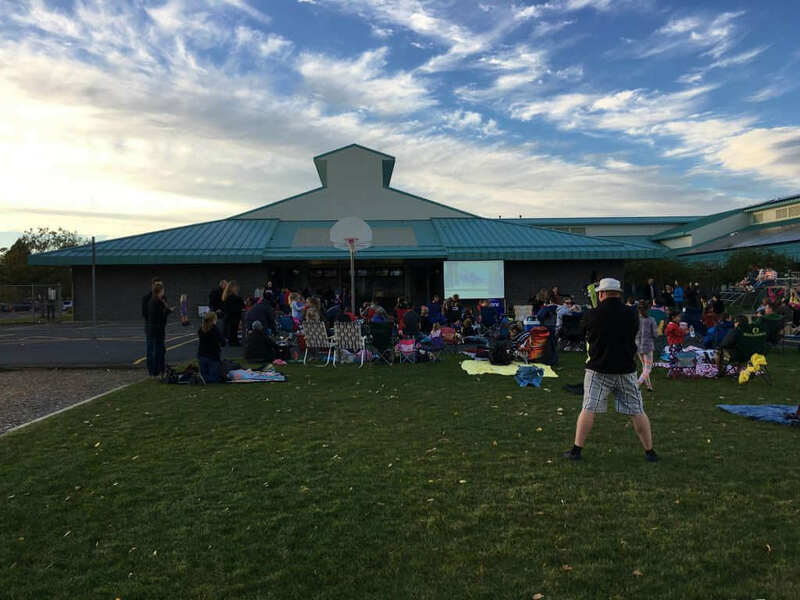 This past Friday, the PTO of Lava Ridge Elementary decided to host an End-of-Summer Movie Night in the playground. What a good idea to bring parents together with the kids to enjoy one more good community event before the cold sets in. Everyone loves a movie night outside and it’s important to consider safety with kids running around in the dark. I considered this request and it was difficult for me to share the impending bad news. The facts are that it gets dark at 7pm, it’s a two-hour movie and you have printed in your newsletter, “Movie starts at 6pm.” This means the first hour will be in sun light. The response from the PTO was “dear in headlights” silence. Direct outside daylight in the summertime averages somewhere in the neighborhood of 10,000 foot candles. This is equal to 10,000 lumens per square foot. To project an image in this scenario, it would take five times that to overcome the sun, making the projector requirements to be 50,000 lumens. The term “Lumen” is the basic unit of light. If light were tangible and you could somehow grab it in your hands, the amount of light that you would be holding would be described as lumens. If you took that handful of light and stuffed it into a sandwich bag, or let it loose in a dark room, the amount of lumens would be the same. Lumens do not decrease or increase as that light you were holding condenses into a smaller space, or expands to fill a room. For that particular amount of light, regardless of the space it is filling, the amount of lumens remains constant. In this case, I supplied an 8,000 lumen projector which utilized the latest generation light source, Laser. Laser light source projectors are really the way to go in this situation because they create the purest form of the primary color spectrum (Red, Blue and Green) and the light source is consistent with very little variation. With respect to our creator, this is as close as we’ll come to competing with God’s perfect light source, which is not even close. I advised the principal to delay the start time as long as possible to allow the sun to break over some trees and the roof-line of the building. This would give everyone a better chance for a better picture closer to 6:30pm. In comparison, I used the same projector and screen inside, during broad daylight in an atrium in between the second and third floor of a business building. As you can see in the image below, there was an improvement. This is because the sun is filtered by the glass above, reducing the lumens of the sun’s intensity. I trust this information has been helpful when considering the right projector for the right application. Remember, a good rule of thumb is that you’ll need 5x the brightness to compete with the light source measured by lumens, in an existing space, whether it’s indoors or outside. It’s not perfect math but you’ll be glad you did all you could within your budget to get as close as possible to this.